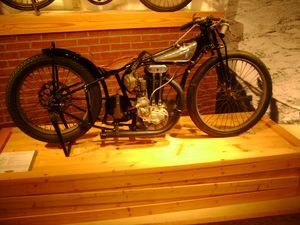 In an attempt to compete with the British JAP and the Rudge Class "a" speedway machines, Harley designed their own version, the CAC which was a virtual copy of the then current JAP. An initial batch of a dozen motorcycles was built but performance was disappointing. The project was canceled, citing financial reasons, as this was the height of the Great Depression. This page was last edited on 11 August 2010, at 00:50.